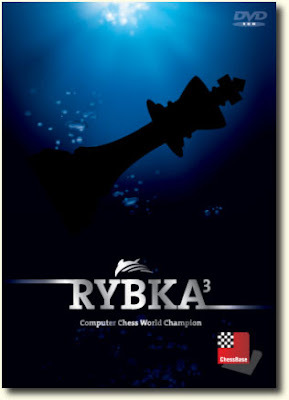 In shocking chess news-- Rybka, the famous computer program that has dominated the top of the computer chess championships for years, has been stripped of its titles and banned from future competitions. The problem stems from the complex question of whether Rybka's programming was taken from other, older software-- in short, whether Ryba's basic functions were stolen off other programs. On the one hand, the fact that Rybka beats other programs means it must be at least a little different than other engines. On the other hand, this could be just a matter of a few tweaks here and there without any substantially new ideas. The whole issue of the 'copyright' and 'ownership' of source code is a murky one -- very often, free programs already exist whose main purpose is to be modified, tinkered, and enhanced. Stripping Rybka of the titles, at this point, does not appear to be any kind of legal determination about whether Rybka was stolen from others. 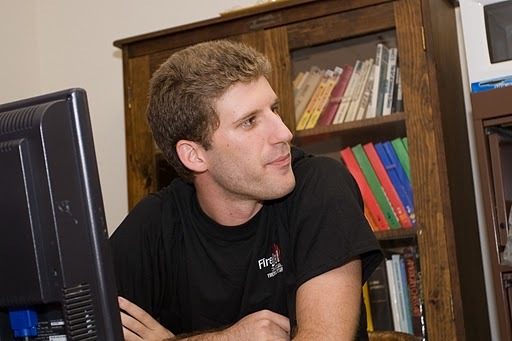 Instead, Rybka is in violation of the Computer Championship rules, which requires entrants to be unique creations and any adaptations of other's code must be disclosed. I don't expect this to go away anytime soon, however! Rybka is a commerical success, while the programs it supposedly is borrowed from, Crafty and Fruit, among others, are not. Like I said, the world of computer program property rights is a murky one, but I wouldn't be surprised, with real dollars on the line, for this issue to make it to court in some form. At any rate, Rybka isn't considered the strongest program anymore. After trying to find a good upgrade engine to my older copy of Fritz, I discovered Houdini may be the best engine around. A free computer program, I put it to work on some positions I thought Fritz was handling badly-- and I was blown away with the speed and the accuracy Houdini possessed. But don't expect Houdini to appear at the computer championships anytime soon-- it is also considered a derivative work. Too bad that the strongest computer program may not be called the champion. But that doesn't mean we can't use it to improve our analysis. "Humans have been using computers to cheat at chess, so it is only natural that computers would start using humans to cheat at chess." 35 players participated in the 6th Grand Prix event at the Boylston Chess Club, shuffling the leaderboard at the halfway point. (Click to enlarge). In the U2400 section, Chris Chase has reclaimed the lead with 7.5 points. Tian Rossi, who has only played in two Grand Prix events is still in the lead in the U2200 section with 7.5 points. However, Jason Rihel, in the U2000 category, has 9.5 points and would overtake Chris and Tian if other contenders rise up. Indeed, at this time Terrance Fricker and Harold Dondis trail the U2400 and U2200 leaders by only 1.5 points and would claim those prizes if they can get ahead. Robert Holmgren appears to have an insurmountable lead in the U1800 category, with 17 points. However, Mike Griffin is hanging tough with 10.5 points, and the current leaders of the U1600 and U1200 categories could also overtake Robert in some circumstances. Just like at the top, the bottom has lots of action still in play. The U1600 section is a tie between David Martin and Mark Neale, with 11 points each, but Steve Stepak is on pace with 10 points. The U1400 section is still wide open! At just 3.5 points, Allen Wang is in the lead, but lots of players (including several in the U1200 category) are waiting just behind with 2-3 points. One breakout event from any of them would boost them ahead. Finally, Thomas DeMartino has taken a huge lead in the U1200 section, with 14.5 points. He was only under 1200 for the briefest of moments at the start of the year-- he has soared +600 points in six months and is now over 1800. One of the quirks of a year-long grand prix event like this-- your starting rating category may not reflect your rating at the end of the year! With over 80 players participating in at least one Grand Prix, we at the BCC are pleased with this event and hope you are, too. New England Nor'easter Board 1 star IM Robert Hungaski, who trekked weekly to the Boylston Chess Club during the Nor'easter's championship run, secured his second GM norm by storming to clear first in the New York International. Just a friendly reminder that our 6th Grand Prix event is this Saturday, June 25th at the Boylston Chess Club. This is the cheapest chess tournament around, at only $7.00 for members and $10.00 for non-members. Four rated games available for less than $2.00 a game-- you can't even get a deal like that from the Harvard Square blitz hustlers! If you are planning to go to the World Open, this would be a great warm-up. There is also still plenty of opportunity in each rating class to catch the leaders and claim the year-end prizes. Don't miss out. This event is coming on the heels of his Italian event, where he finished with 6 points in a big logjam for 3rd place with several IMs and GMs. That result was good enough for a 2500+ performance rating and a handful of rating points edging Marc close to the 2460 mark. Those who watched the live games knows that Marc is playing very dynamic chess right now (lots of exchange sacs in 9 rounds! ), and he had several chances in the Italian tournament to fight for a 1st-2nd place performance. Also, by our count, he is 7/8 with the Black pieces during this trip. Ignoring the fact he is in the Italian Alps, Marc has started the tournament with the Black side of a French Defense. They will be broadcasting the games LIVE all week, so stay tuned for Part II of Marc's European Adventure, especially when that Medias Kings elite tournament spits out 3-GM draws, as you know it will eventually. 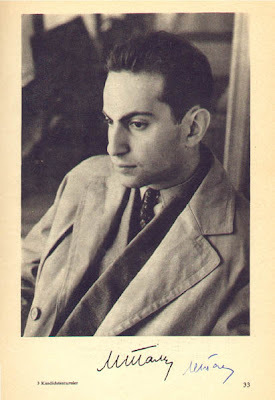 Steve Stepak wrote this appreciation of Mikhail Tal. Bolyston Board and Boston Blitz member IM Marc Esserman is chesstouring Europe this summer. We will try to follow him via the Interwebs. In the final three rounds against the strongest tournament participants, Marc managed 3 draws, enough for 2nd place and an 11 point ELO rating gain, pushing Marc over the 2450 milestone. Only IM Stopa was able to pull ahead and take clear first place. If you are trying to navigate the crosstable, the format is pairing #,color,score. So for example, "43w1" means the player faced #43 with the White (weiss) pieces and score 1 point. The "s" means the player had black (schwarz). Good luck to Marc on this tour. We'll have to ask him later how many Smith-Morras appeared in Wunsiedel! At a rating of 2437, Senior Master Steven Winer is currently ranked #87 in the United States. 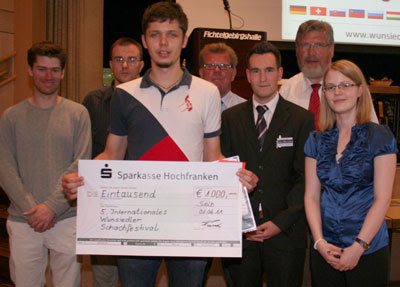 In 1999, Steven won the Denker Tournament of High School Champions, and he has been chess champion of Vermont many, many times. 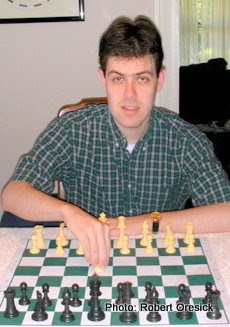 He was also a member of the inaugural US Chess League Boston Blitz team back in 2005-2006. Steven will lecture on practical examples of how to turn those painful losses into future sparkling victories. A simultaneous exhibition will promptly follow the lecture (at least 6 players). ADMISSION: Lecture: FREE for Boylston members, $10.00 for non-members.